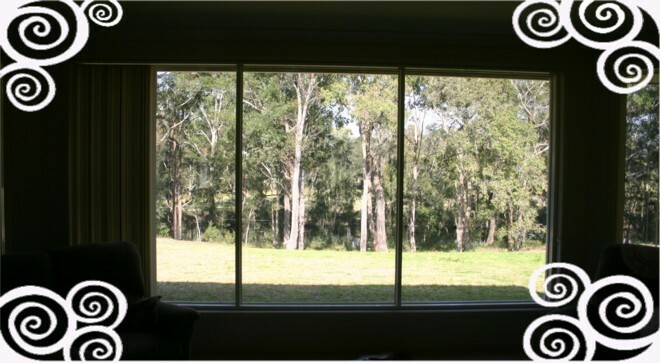 A view of a nearby creek with surrounding bushland is captured with a large picture window. Different views mean different things to different people, but no matter what the view is it is important to design your home around the view. The view may be over water, up to the mountains or down on a town. Views are best located in living areas especially those areas used regularly. It is important to have lots of large windows in the area where the view is. It may be worth considering bay windows, angled walls with windows or a large picture window.